Sprinkler timers are a tremendous tool for making sure your lawn is getting the right amount of water. A great lawn sprinkler system takes much of the guesswork out of wondering when to water your lawn. Too much water will just cost you money and hurt your lawn. Too little water and you’ll be looking at a lot of brown grass. The timer on a sprinkler system can act as the brains of the system. A timer sends a message to the valves in the lawn irrigation system. The valves regulate the flow of water to the sprinkler system. The timer will switch the lawn sprinkler system on and off and pre-determined intervals. This will help regulate a specific team for water to go to the lawn. You won’t have to worry about forget to turn on the system or wonder if you forgot to turn the system off. The timer will take of those things. This creates a seamless watering system that will nourish your lawn on a regular basis. 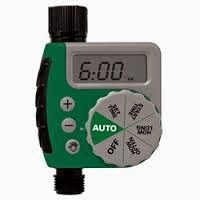 Sprinkler System Store features several Orbit timers for water sprinkler systems. These timers easily connection to irrigation systems. There are timers for systems big and small. The Orbit 12 Station timer has a touch screen and can be duel-programmed. The Orbit Super-6 controller is a timer that comes with a remote control. The remote control allows specific zones to be watered without interrupting the timer’s set program. These timers are energy-efficient and also help conserve water. There are timers with mounting kits that can be set up indoors or outdoors. In addition to the remote control timers, there are also dial control timers. Touch screen timers, like the dial control timers, are easy to use and are reliable. All the Orbit timers are built to last and are available at affordable prices.